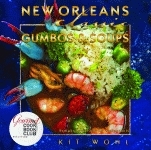 Readers learn a myriad of easy-to-prepare recipes paired with the history behind each food item. 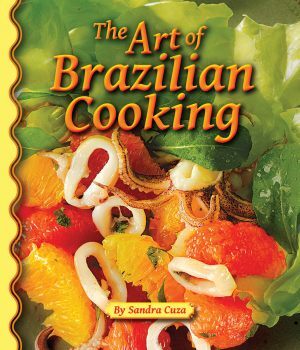 Author Sandra Cuza presents dishes such as coconut pie with passion fruit cream, fish with bananas and hot pepper jelly, avocado ice cream, and, of course, churrasco with seasoned brown rice. In addition to fare that is sure to enliven any table, the book also includes more than sixty mouth-watering color photographs, a glossary of terms, and sources for Brazilian food ingredients and products in the United States. Sandra Cuza, born in Kansas and raised in Southern California, moved to São Paulo, Brazil, in 1993. A short story, feature film, television film, and drama writer and novelist, Cuza taught creative writing with the American Society upon her arrival in Brazil. A foodie herself, she began experimenting with Brazilian cuisine in her spare time, which served as the inspiration for this book. Cuza received a BA from Mills College in Oakland, California, and a MA from Pacific Oaks College in Pasadena, California. She is a member of the Authors Guild and the International Women’s Writing Guild. Her articles have been published in various literary magazines, and her accolades include first place in the Indiana Writers’ Center Contest in 2005. Click here for sample pages. Click here for Chapter 1. Click here for Front Matter. Click here for the index.